Students waited patiently for the bus, excited — and a bit nervous. Their participation wasn’t a given; it’s a competitive process to be selected to attend one of USD’s Torero Treks, which give students a real-world glimpse of specific career paths. “The treks allow students to engage in career exploration by visiting companies in a specific region or industry,” explains Career Development Center Assistant Director Sue Kelly. 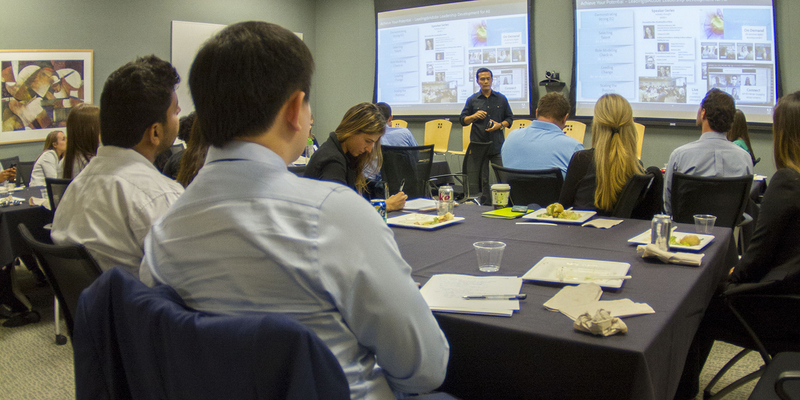 November’s marketing trek included three San Diego firms: Rescue, CPC Strategy and Red Door Interactive. “I got to see companies in my field of interest, and the networking opportunities helped me secure connections,” says fourth-year business major Nikki Barden. To learn more, go to sandiego.edu/careers/treks.